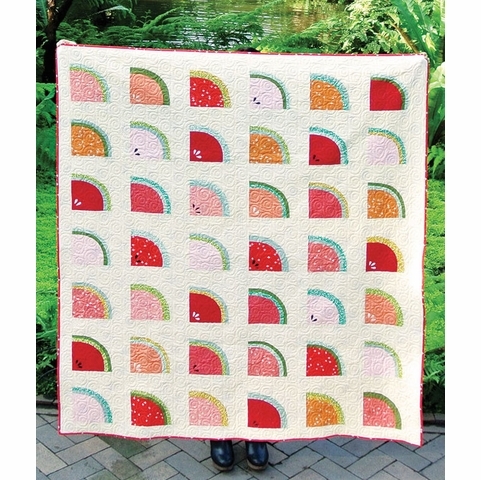 The Mod Melons Quilt pattern by Suzy Williams of Suzy Quilts is the perfect introduction to sewing with curves. The blocks are relatively simple and look amazing with Birch Fabric’s Mod Basics 3 collection. 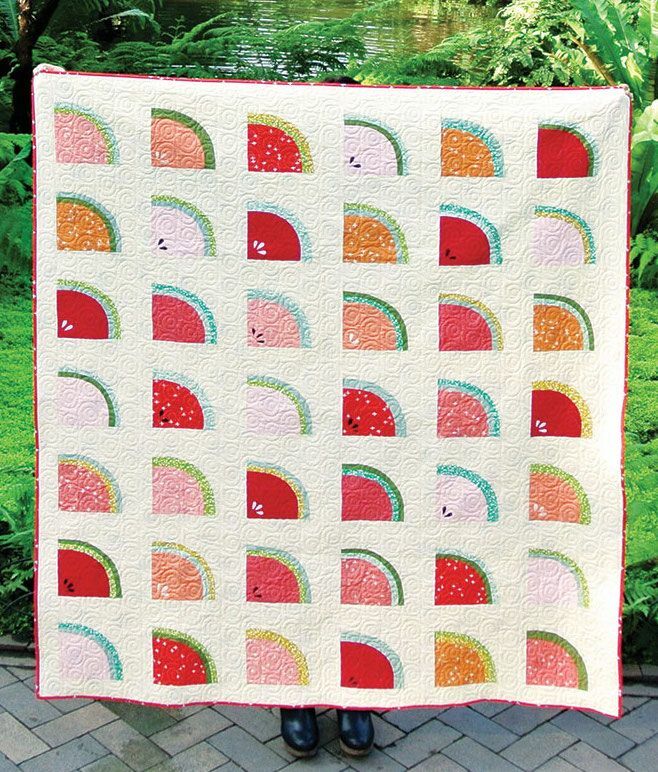 And who could resist the adorable watermelon slices? We urge you to give these Mod Melons a try! **Kit does not include batting, binding, or backing fabric. Backing requires 4 yards of 44" wide fabric. Binding requires 1/2 yard of 44” wide fabric.